Over Easter I had three weeks off from University so I made the most of spending time with the horses and riding Ceaser as much as possible. 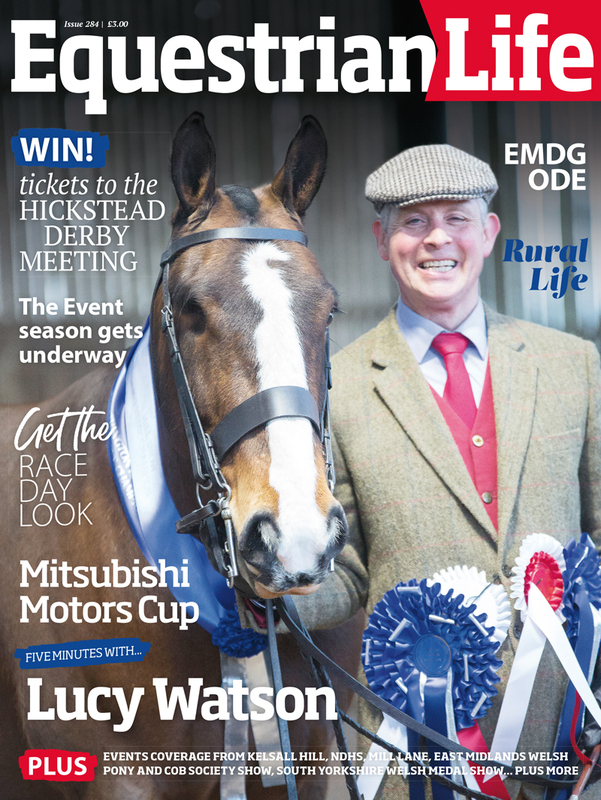 My previous column was on-line on the Equestrian Life website. I mentioned I had a new “project” pony, Frosty. 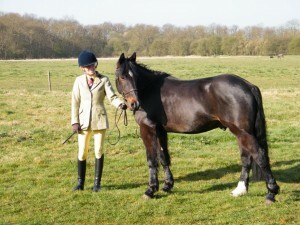 He’s a 14.1hh New Forest cross cob and is adorable. He is still very nervous of people but so far we are getting on fantastically. In just five weeks he has allowed me to get on him and walk around. He is taking everything in his stride and I am so pleased with the progress he is making in such a short space of time. The plan was that I am to get him ready to go in the riding school but if he continues the way he is I will hope to be able to take him to some dressage competitions. 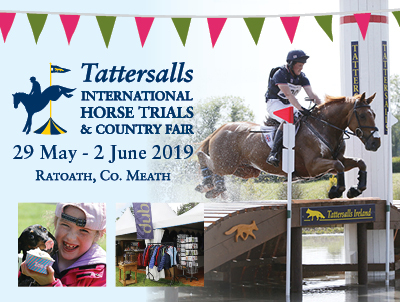 After just three weeks of having him I decided to bite the bullet and take him to do some In-Hand showing at Faldingworth Equestrian Centre. He behaved tremendously and acted like he had shown all his life. We were pleased with a respectable 2nd place in the unregistered Mountain and Moorland class and I am thrilled that we have qualified for the MIDARC Championships to be held in August. 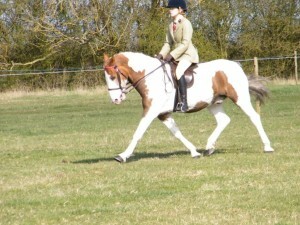 I also took Ceaser to the same show and we came 2nd in our Ridden Coloured class. I was thrilled to qualify for Equifest, the 15+ championships and the British Skewbald and Piebald Association championships in just one day. I like getting my qualifications under my belt early on in the year so I have time to plan and work out what championships we will be doing towards the end of the year. 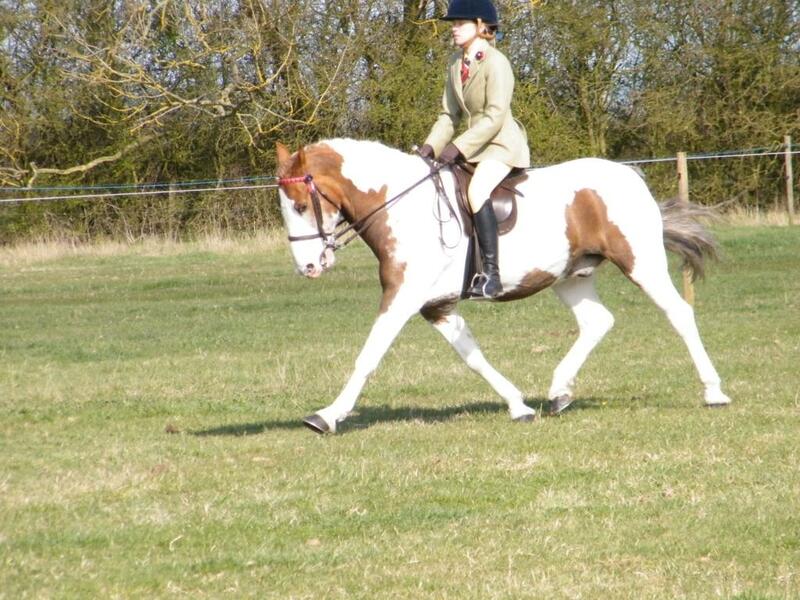 Ceaser is going brilliantly at the moment and I am so excited about the rest of the season with him. On April 8th we had our Trailblazers 2nd rounds at Sheepgate. 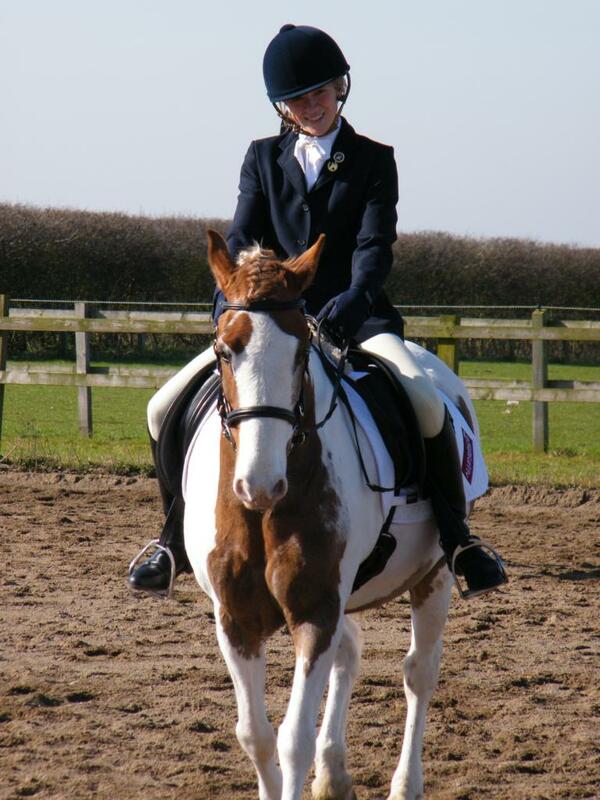 I have never done Trailblazers before and am very much looking forward to the finals at Stoneleigh. We have qualified for the finals in the Prelim section after gaining our ticket by finishing on 67.08% in a respectable 3rd place. We were also booked in for an Elementary class and I was over-the-moon to win that class with 63%. I didn’t think it was a bad day out considering I hadn’t ridden either tests at all before the competition due to a busy week! 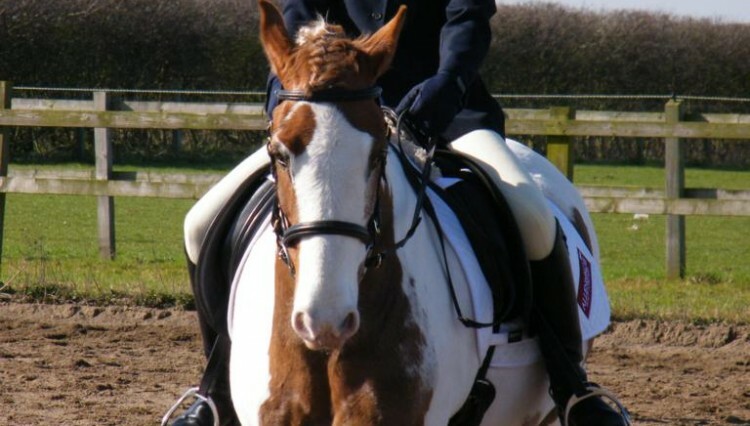 With every dressage competition we attend I am becoming more and more hooked on it. I think it helps that I just want to ride in my lovely Albion Dressage Saddle all the time. I am so excited that university is slowly coming to an end. After the Easter holidays I am only there a week and then I finish. Although it is an exciting thought, it is also a daunting one. I have been looking for jobs and have applied for a couple to work on a newspaper but I think my forte will be equestrian journalism and I am just hoping that when I graduate something becomes available for me. 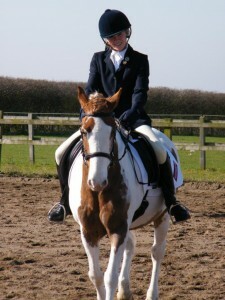 My online Equestrian and Journalism blog: www.sianlovatt.blogspot.com is getting more and more popular. In just four months I have had nearly 4,000 views which is fantastic. 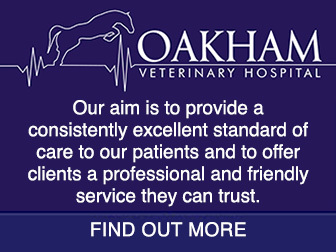 I am also thrilled to announce that I have two fantastic new sponsors which are helping enable me to carry on competing at affiliated level dressage. Global Herbs are providing Ceaser with a hoof supplement and one to help stop him head-shaking. Global herbs are the only supplement company in the UK run by Vets, with veterinary advice available at the end of the phone. 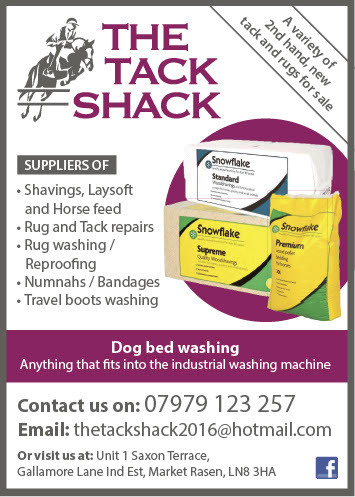 Their supplements are highly recommended by many for anyone wanting feed supplements for horses, cats, dogs and people! Also, Carly Etheridge from Tally Ho! in Horncastle, Lincolnshire has kindly offered to provide Ceaser with some magnetic boots to help keep his legs in tip-top condition. Tally Ho! 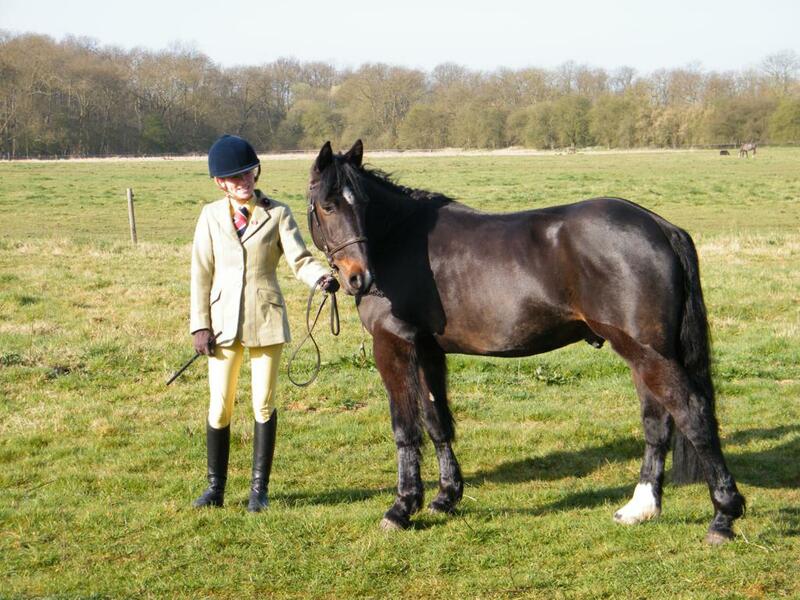 is both owned and run by Carly and offers a wide variety of both equestrian and country clothing as well as gifts. I am grateful for all of the support both Ceaser and I are receiving and without everyone’s help we would not be able to carry on competing at the level we are. 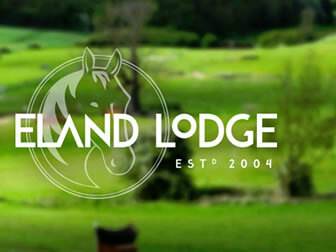 Our livery yard (Hundleby Riding Centre) is also doing well. The riding school is expanding bigger than we ever expected. We have also recently got a few new riding school ponies and horses which are already becoming a huge hit with our clients. The next time I write I should have finished university and be on the way to starting a new life as a journalist. I can’t wait and am very much looking forward to moving back home.